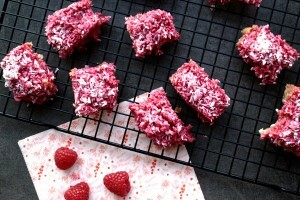 Raspberry Coconut Biscuit Slices - A little slice of heaven! Ah. raspberry coconut biscuit slices. These are little slices of heaven. 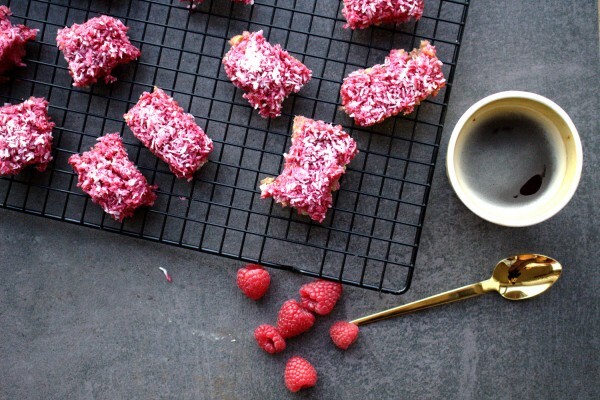 Something about the combination of raspberry and coconut makes them feel decadent and indulgent. When I first served these to a group of friends at a pre-Christmas gathering no one would believe me they were gluten, grain, dairy, egg and refined sugar-free. They remind me of Kimberly Mikado bisuits I used to dunk in my milk as a child. They definitely inspired this recipe but obviously I removed all the junk! I usually have a batch of these somewhere in the freezer to take out when I’m craving something sweet. In my pre Specific Carbohydrate Diet (SCD) days, I would never ever have thought of freezing snacks. It means less chance of food waste and always having something to hand for an impromptu treat! This recipe doesn’t take long itself but there is some passive time waiting for the crust and jam to cool. I can assure you, they will be worth the wait. If you have a few hours to spare it is best to leave everything fully cool before pouring in the jam. I usually pop them in the fridge for a little while. This allows them to firm a little before cutting. 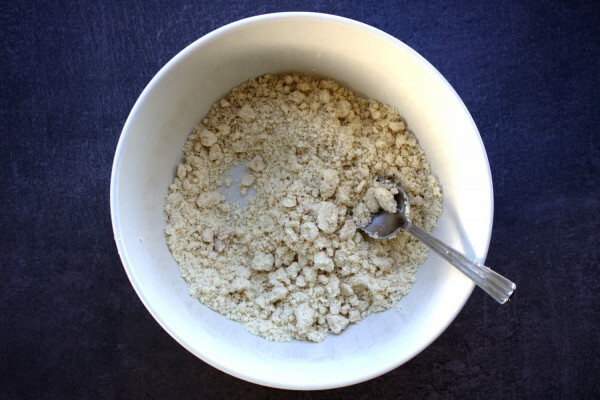 If you skip this step they will just be a softer consistency and may required you eating them with a fork. They taste great regardless! 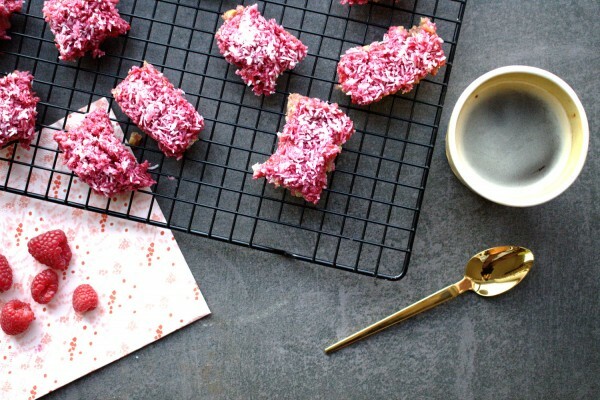 If you have just started SCD and you are feeling overwhelmed or if you just want a healthy snack you should make these raspberry coconut biscuit slices. You will feel deprived no longer! Delicious nutrient-dense raspberry and coconut biscuit treats. Free of gluten, grains, dairy, egg and refined sugar. 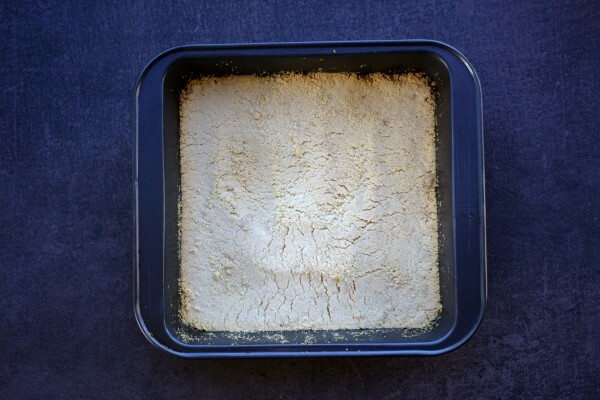 Bake for 15 mins or until the crust is lightly golden. 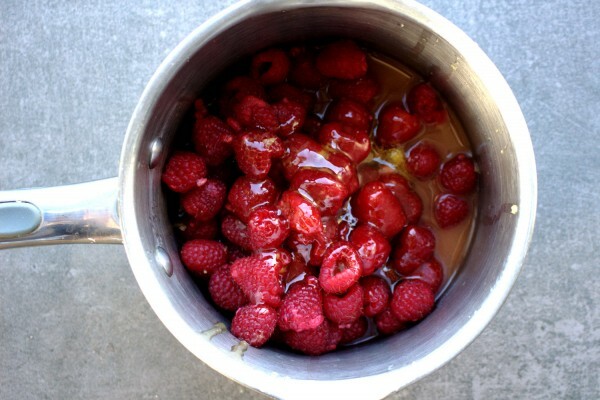 Meanwhile make the jam topping by adding the raspberries, honey and orange juice to a pot and placing on a medium-low heat. Bring the jam to the boil, then turn down and simmer for 15-20 minutes. If your jam is still lumpy, you can mash it with a potato masher but I didn't have to. The orange juice ratio makes this a more runny jam which is perfect for this recipe. 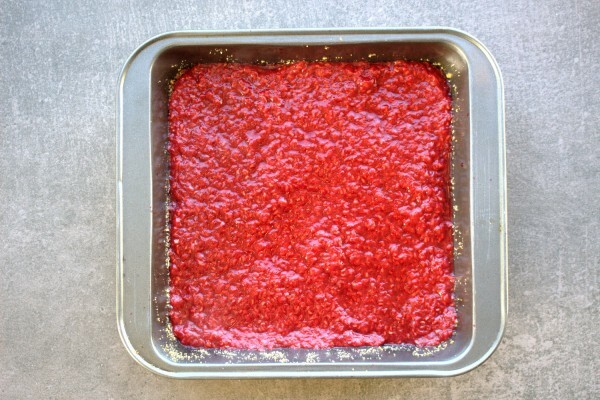 Allow the crust and the jam to cool a little (for 30 minutes) before pouring the jam over the crust. 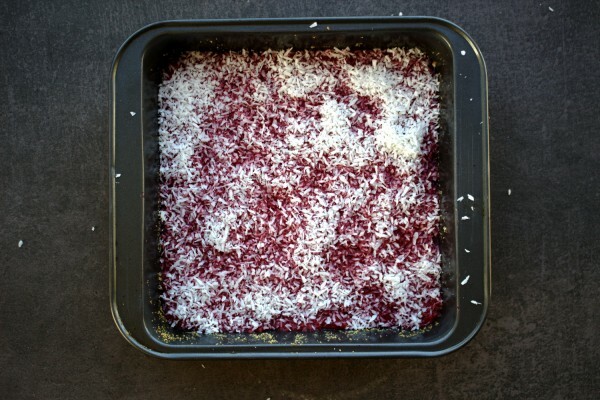 Next sprinkle over the coconut flakes. Freeze for 1-2 hours before cutting into slices. These biscuit slices won't be super-firm. They are a softer consistency because the jam seeps through to the biscuit layer. Just how I like them!